This was the market with largest time difference, as the last time i did this survey, it was December '13, and it shows, as at that time the Outlander PHEV fever had not yet landed and the Leaf was King, in fact, the Japanese hatch is the sole survivor of those seemingly archaeological times, when the Renaults Kangoo ZE and Twizy(!) were present. Now, we have the BMW i3 in Third, with its Renault Zoe arch-rival running close, while in Fifth we already have the fleet-buyers new darling, the Mercedes C350e. Sweden is the Ninth country in number of EV's registered and one that has been registering more rapid and dynamic growth, reflected in this ranking, as the leader in 2014 (Prius Plug-In) is no longer part of this Top 5. The overall leader is now the Mitsubishi Outlander PHEV, followed by two other plug-in hybrids: the homeboy Volvo V60 Plug-In and the surprising VW Passat GTE, currently the star of the show. Fourth we have the consistency leader Nissan Leaf and in #5 the Tesla Model S, that despite its characteristic ups and downs, is a frequent presence in the top places. The two places below have new faces regarding the last survey in 2014, with the Mitsubishi I-Miev and Prius Plug-In losing their positions to the Smart Fortwo ED(!) and BMW i3. Editor's note: I will be absent for a couple of weeks, but until then, i will recover an old EV Sales feature, counting the all time sales of the largest markets. The global EV market continues to grow at rapid pace, with some 63.000 units delivered in July, representing a 63% growth YoY, with YTD sales up 53%, we are headed for a total sales number this year between 800.000 units to one Million EV's. In the models ranking, the Best Seller of the Month was the Tesla Model S, thanks to a best ever First-Month-of-the-Quarter result (3.728 units), achieving also for the first time the Best Seller status in this phase. Looking at the YTD ranking, the Chevrolet Volt managed to surpass the Renault Zoe and is now in #5, but the #7 BYD Qin is unrelentlessly in the ranking, so the GM will have to watch its back in the future, if it wants to keep its position. There is a new face in the ranking, the SAIC Roewe e550 PHEV sedan is the new #10, making it the fourth Chinese Vehicle in the ranking, more than the USA and Japan (Both have two), or Germany and France (One each). There has been several questions on why did the Nissan Leaf had a sudden bump in YTD sales from June to July, in order to answer them, i should inform that from one month to the other, besides some minor changes in the UK numbers, there is a new market being counted here, Sri Lanka. The Nissan Leaf is responsible for some 90% of sales of EV's in that country, meaning some additional 100 units per month in the Nissan Leaf YTD tally, that didn't existed before July reports. BYD continues to be the Master In Command, in July it delivered another impressive result, with 10.226 units (The second best performance ever), while Nissan and Tesla are running for the Second Place. Looking below the #10 Ford, JAC remains close (10.753 units), but the real threat is SAIC Roewe, #11 with 12.118 units, having scored 2.887 units last month, thus putting pressure at the American brand for the next few months in the race for the last place in the ranking. This article is being simultaneously published on CleanTechnica & EV Obsession. The European EV market had more than 13.000 registrations last month, down 4% over July 2015, the slowdown in sales are more visible on the BEV side, now that buyers are waiting for the upcoming long-range models. Nevertheless, the market is set to surpass the 200.000 units by year end. #1 Mitsubishi Outlander PHEV – Despite the Japanese SUV being the Best Seller in July, with 1.490 units, the fact is that its sales have dropped 14% YoY, this being the fifth month in a row of slowing sales. Talk about bittersweet victory... Although growing in important markets, like Norway or Sweden, Mitsubishi hasn’t found a way to replace the average 300-400 units/month it had last year in the Dutch market and to stop the sales bleeding in the UK. 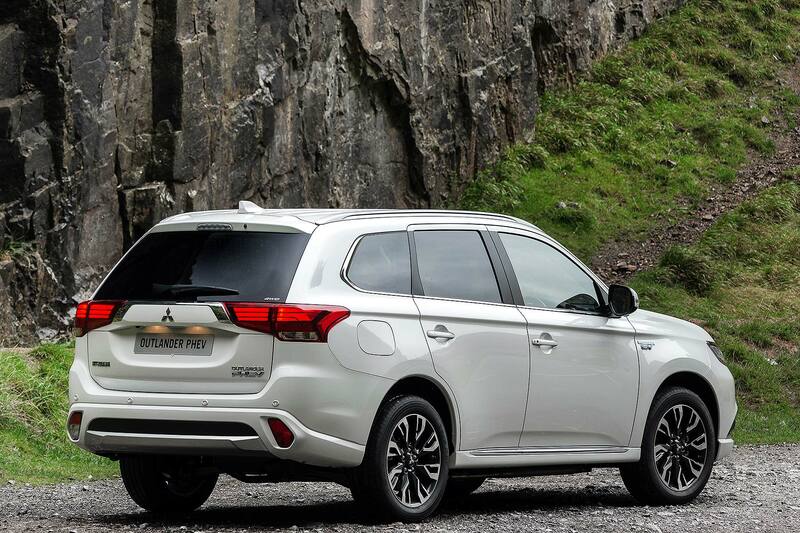 Is Mitsubishi’s star product becoming passé? 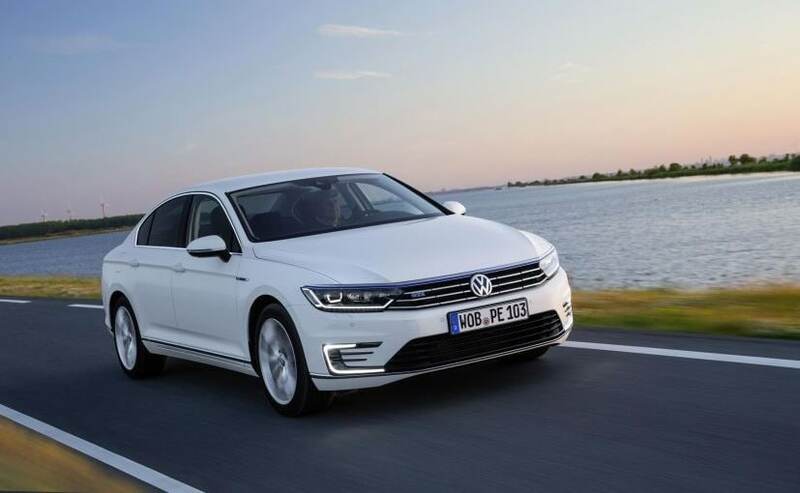 #2 VW Passat GTE – Thanks to Sweden and Norway, big time Passat GTE buyers, Volkswagen’s midsize offering reached the Second Position, its highest ranking ever, with 1.178 units, its best score this year. With the right mix of space, practicality, low carbon emissions and power, the Passat GTE is destined for success as company car for middle managers. 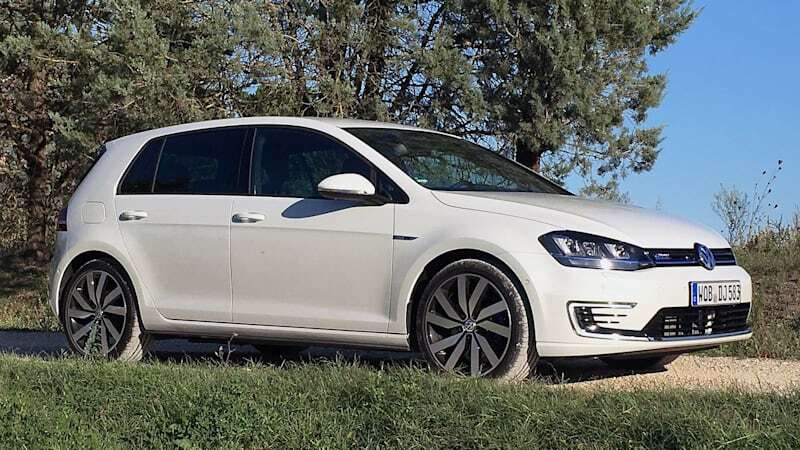 #4 Volkswagen Golf GTE – The (not so) surprise of the month, VW’s sporty hatch returned to the Top 5, reaching #4, with 834 units, but sales are down 52% YoY, with last year result inflated by the Netherlands and currently suffering from internal competition from its Passat GTE larger sibling, the plug-in hybrid version of Europe’s Best Selling car will have a hard time in the near future, especially when the longer range VW e-Golf lands. Looking at the YTD ranking, this month there was only one significant change, with the VW Passat GTE jumping to #6, looking enviously to the Fifth Position of its Golf GTE relative. In the midst of the Summertime Chill season, besides the Passat GTE, other two models outside the Top 20 also did their best, the Mercedes GLE500e had 136 units registered, its best performance ever, while the Audi Q7 e-Tron did even better, with 352 deliveries, by far its best month to date, already pulling it to #13 in the July ranking. (Un)Coincidentally, both are Big Luxury SUV’s, something that seems to be the Trend du Jour these days. Looking at the manufacturers ranking, the trophy bearer, Volkswagen (16%) has managed to keep Renault (15%) at bay, while the increasingly menacing BMW (13%) is just waiting for the 33 kWh i3 to arrive, in order to reach the Top Two. 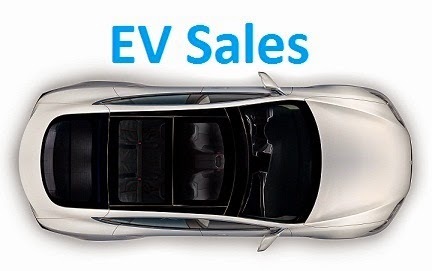 July is usually a slow selling month in Belgium, as the locals migrate massively to Oostende, Knokke -Heist and other summer resorts, but despite this, sales were up 130% to 545 EV's registered, with the EV Share steady at 1.5%. As usual, AWD vehicles continue to top the ranking, with all podium places in July belonging to such vehicles: The Volvo XC90 T8 (91 units) was once again the Monthly Best-Seller, followed by the BMW X5 PHEV (101) and the BMW 225xe Act. Tourer (39). Interestingly, the fourth place went also to BMW, as the 330e (38 units) accentuates the strong lineup that BMW has made. Speaking of BMW, it's i3 rose one position to #7, as the first 33kWh units were delivered. Will we see three BMW's in the Top 6 soon? I wouldn't bet against it. Underlining the never-ending appetite of this market for SUV's, the two models with highest rises in the ranking are two recent additions to that class: The Audi Q7 e-Tron jumps to #27, while the Mercedes GLC350e does even better, climbing to #23.